I agree with all those who say “give us the option use the desktop without Metro” but I guess that’s exactly why Microsoft won’t do it – they realise that if they do, then 90% of Win 8 users will simply stay in the desktop and Metro will never gain traction. Should I, and my clients, throw all this away because Microsoft is afraid of the silly iPad? NO WAY. They’re going to keep XP and Seven well into the roaring 30′s if there will be no simple & official way to force a recognizabile UI on the desktop. this comment here pretty much spells out why MS is now taking that OS that took them sooo looong to get right (I.E. XP) back to the dark ages AND what is wrong with the capitalist model in a nutshell. MS and their team of OS developers are like a great shark. It’s got to keep swimming and eat to stay alive. Companies have what they need with XP and now basically don’t need Microsoft anymore. Microsoft knows this but has been able to leverage their position as sole source of the OS to continue to make profits (I.E. jam all those retro “upgrades” of Office down our throats by pulling support of older versions, etc.). These companies that are expecting to happily run XP into the ’30’s better keep spending money on hardware upgrades at a healthy rate, or they can expect to see desktop computers go the way of the dodo bird. They should also upgrade to 64 bit systems in the not-too-distant future because it won’t be long before 32 bit motherboards ARE dodo birds. That’s their most immediate hardware crisis. Vista’s UAC was, at least, justified in terms of reasonable and strategically correct approach to not be working continuously with highest privileges when it was not really necessary. The rationally inexplicable Metro-insanity is quite another thing..
why i hate windows 8 most : it doesn’t allow me to scale the system as a professional (you should make your insights on this point as well because most of professional users prefer windows just because its more scalable than Mac and stable than linux sometimes as well because of maturity of the product). It doesn’t allow me to scale multiple monitors effectively. I am quite used to windows settings and everything and i love it that way as well so why destroy the professional market just for tablet (rethink this point and make your so called ‘metro’ just optional) and don’t push people to use it – it kills productivity for sure if you just make it static. The only reason i would love windows 8 would be its better support for tablets and touch panels. features i love : most of the things are fine and memory reactions i tested are actually better than windows 7 which is quite better when you think in the way of performance. Just put some of your steps back and make this ui optional and don’t just stick to it. if the users only wanted the ui in an OS they would have already picked up mac #sarcasm_intended. One thousand times this article. The tweaks that are needed are so small it doesn’t even warrant an extra beta. Slip them into the RC. Users who are complaining just want what they already had. All that is needed to end this fiasco once and for all is the following. 1. 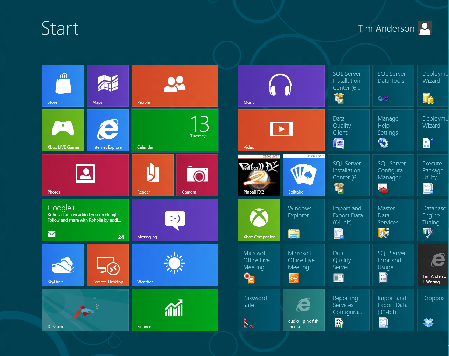 Start out of the box with the W8 Metro theme as it is — this is OKAY! Anything more advanced or drastic (like windowed Metro apps) can wait for SP1 or later. There is no urgent need for that right now. Also, this whole Metro vs Desktop is a false dichotomy. 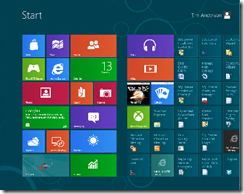 Stardock has created an add-on for Windows 8 already that gives users their Start Menu back. But it’s not the Windows 7 Start menu. It’s completely Metro and it’s really cool. http://www.stardock.com/products/start8/ MS could have done something similar to this. But then didn’t. It was tablet-mode-or-bust. I just don’t get it. And for the Start Screen defenders, NO, using a third party app to fix what MS messed up is not a satisfactory solution for corporate users, even if the app is free. There are many reasons, but I’ll just point out the biggest ones: deployment to thousands of PCs, support for that product from a third party vendor for those PCs, license changes, bugs that may go unfixed with no recourse, etc., etc. As far as anti-Metro arguments go, the 4 quoted ones in the beginning are the lol-iest. This is simply called losing the plot and placing your fate in a bunch of new and arrogant Windows 8 GUI developers who have a lot to learn about listening to criticism. Vista 8 team didn’t and Microsoft had a disaster on their hands. The daft thing is that the solution is simple, allow a default boot into Windows 7 style desktop, start button and all, and a simple and VISIBLE button to swap between desktop (primary for most) and metro. Sounds like all the win8 haters are focusing on the negative. Sounds like Metro just needs a split screen capability and alt tab on steroids to make these people happy. Remember it is scientifically proven that your brain can not focus on more than one thing at a time. (from Brain Rules book) All this multi tasking is slowing down your performance. you are in PATA 133 mode. Come over to the SATA 6.0Gbps mode. Your brain will thank you. Sorry to disagree here but have it loaded on a tablet (Samsung). But I must. I do think MS should allow the START button to be an install option to make the trnasition easier. Went to a conference last weekend on Windwos 8 and Server 8. Had two days to play with it and must admit I like it. It is fast and fluid. I do agree they should allow the start button as an option. But as I gained more experience all of the things we would normally have are still there with the START then SEARCH charm. Have found some bugs and some things are not stable (hence BETA) but over all for this change think this is significant. But the ability to have an i5, 4 or 8 GB RAM and a 128 GB SSD in a tablet is complelling. Means, with docking station, you could use this one machine for multiple tasks. As desktop top with external keyboard, mouse and monitor and when you need to move pick it up and use it in tablet mode. In tablet mode did not need a mouse or keyboard but did use the pen on ocassion. With iPad’s selling at 2.5 million a month they have to respond. The vast majoirty of users are NOT geeks and, like it or not, Apple has made ease of use a primary focus. There is a compelling arguement that MOST users, over time, will use a touch enabled interface for much of their work in addition to personal use. “Been using Windows since 1.0 (was a DOS user prior to that for many years), but unless Microsoft scrap this crap and go back to the drawing board, I’m dropping Windows forever (and taking my clients with me). Windows 8 is fine for tablets maybe… I barely use tablets, its like trying to run a race with broken legs, but whatever. For the desktop Windows 8 is a smack in the face to all Windows dedicated users, and I for one am getting tired of getting smacked in the face by Microsoft and there ever growing list of abandoned users and technologies. With Microsoft “the future of computing” quickly becomes abandoned. I’ve been developing code for 35+ years. Went from Cyber-74 to PR1ME to MS-DOS to Windows. First time I’ve ever looked at the next version of Windows and realized that there’s nothing there. It’s not an upgrade, it’s a rework. (They call it “re-imagined”). I’ve played with the DEV preview and the present CP. For me to spend one red cent on it to replace my Windows 7 equipment would be like flushing that money down the toilet. It solves absolutely no problems for me. MS … still love ya but you’ve lost your way on this one. You’re worried about alienating your developers. Consider me one of them. At least I’ll still be able to develop to several billion desktop systems for a good while yet. You can keep “Metro” thanks. Excellent argument, Tommy! So I guess when you check email, you close down your web browser, then open Outlook. Then when you are done, you close down Outlook and open your browser back up. You are the pinnacle of efficient workflow on one monitor! I bet you get a lot done. I have been running the consumer preview since launch day as my primary OS on a 6 year old sony laptop. I use laptop for all my home use and for development while on the go. While at first I was sceptical and didn’t like what I was using I have since revised my opinion. I think people are reading WAY to much into this whole metro interface and are over reacting to the supposed huge impact it will have on their productivity. I can honestly say I have not experienced one bit of real slow down in terms of productivity. Yes I have had a few things like figuring out the charms bar when using multi monitors and finding how to turn the machine off – which is really nonsensical – why you would put the turn off button under settings is beyond me! But all of these little things are just part of learning a new product. If i’m sat in work mode metro has zero impact on what i’m doing. Metro on the desktop, in my experience so far, is basically just a glorified start menu – it’s the same as you have now but actually a bit clearer. Personally I never use the start menu – I have always (well since Vista) used the windows key followed by typing to find the program I want. The reason for that is because I have lots of software installed and I find the start menu very unintuitive. If any of you can remember who made that piece of software you installed six months ago when you have maybe 100 or more installed apps and therefore folders in the start menu program list then you are doing better than me. If you use the system like me then nothing has changed, windows key and type to search, enter or click to launch – identical behaviour just a different UI. If you use the current start menu then you should prefer metro in my eyes, you can organise into groups and name the groups much easier than you can in older versions of windows and as the icons and stuff are nice and big it’s easy to find what you want, I think much more so than the traditional start menu. Using page up/down to slide the programs across the screen is fast and easy. Don’t forget you can still pin your most used apps to the task bar on the desktop so if you hate using the start screen so much just pin the apps you want or use most often there and you hardly ever need to touch the start screen. If i’m in work mode then I spend nearly all my time in desktop mode as Tim eluded to. The performance of the OS is better on my older hardware than win 7 (which I love) so in that sense I can actually work faster. There are some nice new features in desktop mode such as the file copy dialogues, nothing ground breaking of course but some nice tweaks to what is effectively an upgraded version of win 7 and surely that is no bad thing! On top of that if I shut down win 8 from the desktop it reboots back into the desktop. I gave my laptop to my mum and dad (very basic users) last weekend to play with and as some people have eluded to at first they were a bit like “what is going on! !” but then once I explained – in 2 mins – the start button and the corners they were away. The both liked the Metro apps because they were big, clear and easy to use. After half a day using it my dad asked me to upgrade his home machine from XP to win 8 as he found it simpler and easier. Of course I didn’t as it’s not RTM yet but I was surprised by this. Personally, like Tim, i am probably going to spend very little time using metro apps on a desktop because I like the more flexible multi tasking the desktop provides. Do I mind it jumping to the start screen when I press the windows key to search for an app – not at all as it’s very fast. I think basic coffee table users will like the simplicity of metro after getting used to it. I do think metro/desktop has flaws, especially revolving around the opposing interaction keys as Tim mentioned in IE10 metro, right click to see tabs. Another good example of this is selecting items. In desktop mode everybody knows you can use ctrl click or shift to select multiple items. This is still true in in 8. However in metro (the start screen) you have to right click on each item to select it, neither of those two standard actions work. This is where microsoft needs to poilsh up the experience for me. Selecting items and simple tasks like that should work exactly the same in the metro style start screen as they do on the desktop or it’s just plain confusing. The other thing I dislike about the start screen is that you cannot re-arrange / drag multiple tiles at once. This is very frustrating wen you are trying to organise your start scree. Especially so because all new apps are installed to the last group on the right. When I installed VS 2011 and SQL 2008 R2 back to back it added all of the program feature to my start screen but appended them to the games group which is my last group on the right. To arrange them into their own “Dev” group I have to move each item 1 at a time!! Sorry for the long post but I don’t like all the one sentence negative or positive comments as they provide very little information to people. To summarise my experience so far with 8 has been largely positive. It’s fast, it’s stable. All my legacy apps run perfectly. I can use all the tools I do now and I can run and work almost exactly as i do now. Metro has some small issues for me but nothing that can’t be fixed. What excites me now is the thought of having a single device that can do everything I want. If i’m at home on the sofa I use my slate with the touch metro interface, if i want to work I dock it to a station that has bigger hard drives, monitor outputs etc and allows me to work in desktop mode via wireless keyboard / mouse. I can then pick up my slate, take it to work and do the same. No desktops, no laptops just a lovely slate that can be docked as and when required to beast it up to a full desktop. That would be awesome! I think MS should go on. It will give Linux a good kickstart into becoming the major OS within the next 10 years. I have installed Xubuntu in a couple machines and when I tell people that they run Linux, not Windows, they don’t want me to reinstall Windows…. What more when you’re dead on arrival? I think that Microsoft can find a middle-ground to mitigate the negative feedback from its users. In general, the problem is that Windows 8 requires the user to “retrain” themselves to work within the new paradigm. I forced myself not to turn on the Start menu to see if I was just “missing something” in the design concept. That said, I have found myself “stuck” too many times to ignore the problem. 1. There needs to be some way of “closing” a metro app. We’ve been trained to close apps and when I’m done with a task I want to get rid of it. I am fine with that button simply directing me to the Start screen. The familiar “close” button could become visible on mouse move (so as not to clutter up the touch-only version). Even better would be two buttons, one to return to the start screen, another to return to the desktop. 2. Add a link to the Start Screen on the desktop task bar (where the old ‘Start Button’ was located) and add all the other Charms on the right hand side of the (where network, volume, and other such commands are located). Both of these stem from the same issue: People using a mouse and keyboard with a large monitor don’t want anything “off-screen”. Screen real estate just isn’t that precious for desktop users…and we want to see what we are clicking on. This is the main point being made in the video of how real people will use windows 8 on the desktop video. Replace the start menu with the start screen…solved. I understand what Microsoft is trying to do with Windows 8 because they need to leverage their current user base to try to get into the mobile world. If they can get users to get used to Windows 8 on their desktop, then they can become a contender in the tablet and phone marked because of product familiarity. If they “hide” all of the cross-over functionality for desktop users, then they lose that advantage, and they may as well not do it at all. Users will have an improved experience because they won’t have to learn another system, integration and synchronization will not be a problem, etc. In order to get this sort of multi-screen consistency, we’re going to have to get used to a new UI layout, and I for one am willing to do my part to make that happen. I think they did a great job of rebuilding all of the OS functions for touch (control panel, etc), it’s faster, leaner, and cleaner, which is all good. The place where Microsoft is missing the boat is by forcing users to go off-screen for common navigation tasks. As many others have mentioned, it doesn’t work well with virtual machines, multiple montors, etc. So, while I think they did a good job rebuilding the OS for touch, they just need to keep their desktop users happy by putting common navigation commands on the screen. Microsoft’s goal should be to keep users from enabling the “old” start menu. If they do, then Microsoft has lost because then the metro UI will be completely forgotten. Users will earn a new way of doing things, but it has to fall within a familiar use pattern. Make me stare at the screen and wonder what I’m supposed to do next and I’ll be heading for the registry to put it back to what I know and all forward progress is lost. Careful, Microsoft…you’ve got one shot at this. I can appreciate what you’re saying about learning the new interface. I don’t think it’s the new interface itself that people (including myself) are frustrated with. I think it’s the fact that the new UI is being pushed as the defacto replacement for a system that has matured and has become extremely well liked and very useful over the years. From my viewpoint as a software developer and user I would not be frustrated if MS came along and developed a new front-end that could be loaded as a subsystem to the desktop. This way you could move on to the new system and optionally load the Metro front-end. Leave the desktop (including the start menu) ALONE. Then if a user wants the other front-end let it be loaded from a main menu item or an icon. Develop the system in such a way that a setting could start Metro as the default front-end if desired and/or the system detects it is running in a touch-screen/tablet environment. On the desktop, present the system exactly as Windows 7 does – including the Start Menu. This way users of the existing system (Windows 7) could migrate painlessly and adopt some, all or none of the features that express the interface of the new system. As a systems/applications developer I can tell you that such an implementation would be very possible. Had Microsoft done it this way instead of changing everything about the system (including the stinking logo for cryin’ out loud!) then there wouldn’t be anywhere near the angst that exists, particularly in the development community. Many of us (myself included) might then look on the system as an expansion of what is already in place rather than a retrofit and, indeed, a retroGRADE of the GUI. The complaining is somewhat comical. Is 8 a misstep? Maybe. Is the UI not appropriate for the big screen? Probably. Will users defect in droves? No. Like it or not, most of the people here are too embedded into the Microsoft stream to opt out. MS knows this. They don’t care. The audience for 8 are the ones NOT using MS Windows. Apple and Android are eating MS’s lunch on the tablet and phone front and MS is desperate to stem this. Their view of the bulk of their desktop customers is (for good reason) that they will take whatever is pre-loaded onto their computer and figure it out. If the vendors rebel and don’t provide drivers (ala Vista) then the OS won’t sell, but I assume MS has already thought of this. The sophisticated, technical customers with multiple monitors, 50+ tabs open, multiple development streams, etc. comprise a smaller subset and MS probably (rightly so) considers them already in the fold and can be expected to behave (kind of like how Democrats treat minorities). They will possibly have to throw them a nominal trinket as a bone to allow them to save face when they retreat and install the latest OS simply because they can’t help themselves. The guy that commented that had 4 monitors is not a blip on the radar. So, you 8 haters; where you gonna go? Mac, Linux. Hardly. Sorry to say it, but MS already has the feedback they need and your vote doesn’t count. I don’t know about you, but I absolutely love Windows 8. The interface is nice on my tablet and laptop. Here’s the solution to everyone. If you don’t like it, don’t buy it and stick with Win7. It’s not like you can’t run the same applications on Win8 anyway. And why were Virtual Machines invented anyway ? Agreed. However Microsoft is thinking that there are going to be a groundswell of “producers” for the Metro front-end. Hard to say how many developers will go that way. Microsoft has “coined” a version of Visual Studio (v2011) for developing in Metro – and they’ve “uglified” the GUI in Visual Studio right along with Metro. Just exactly why, I dunno – it still runs in desktop mode but the whole thing has been rewritten with a practically monochrome front-end to it. Visually it is tough to look at. Why they went to the effort to rewrite the GUI for a desktop tool to make it as ugly as Metro is beyond me, however I’m highly unlikely to go that way. That’s OK … we’ll see how it goes. For those of us who make a living writing professional desktop apps (and web apps) Windows 8 will probably be inconsequential – at least for a good while. I don’t fault Microsoft for wanting to address the tablet market but this one just isn’t making sense to me. Some will, some won’t I guess! Personally I’m excited that computing is moving into a new era. Not sure how many remember the ’95 epidemic when everybody freaked out about DOS disappearing. Now from a common use perspective the question is “what’s DOS?”!! Really it’s not that hard to accept change is it? Just out of curiosity, how many of you like the idea of a Minority Report style interface? How well do you think this would work in a windows desktop based environment? I use VS same as a lot of people, but imo the future looks pretty exciting even if they don’t get it 100% right straight away. So like the DOS and 2000 crisis and the end of the world hype, perhaps just grow up and enjoy what’s coming?